Brøgger, the London based womenswear label with Danish roots championing stand out design and daring prints with their latest collection. 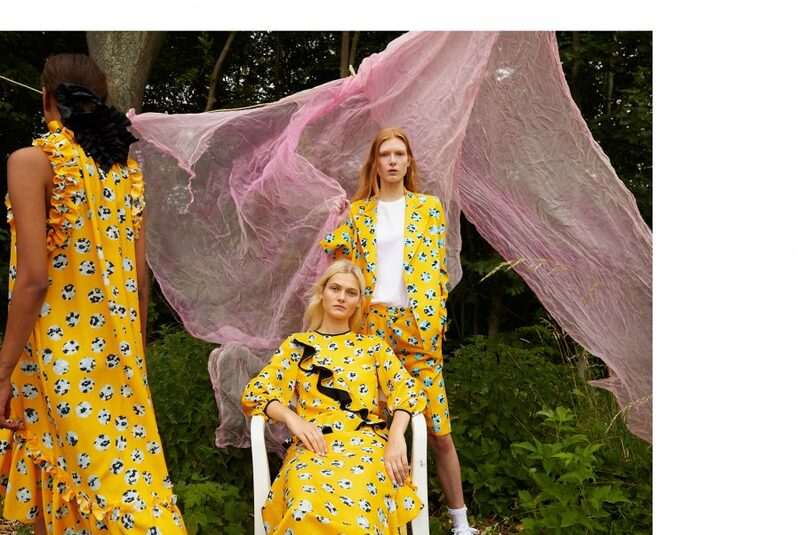 Brøgger presents its first Pre-Spring 2019 collection, the label’s largest collection to date including more separates such as silk camisoles and playful, floaty skirts. This season introduces vibrant colours and intriguing prints, forming a feminine yet innovative and multi-faceted collection. 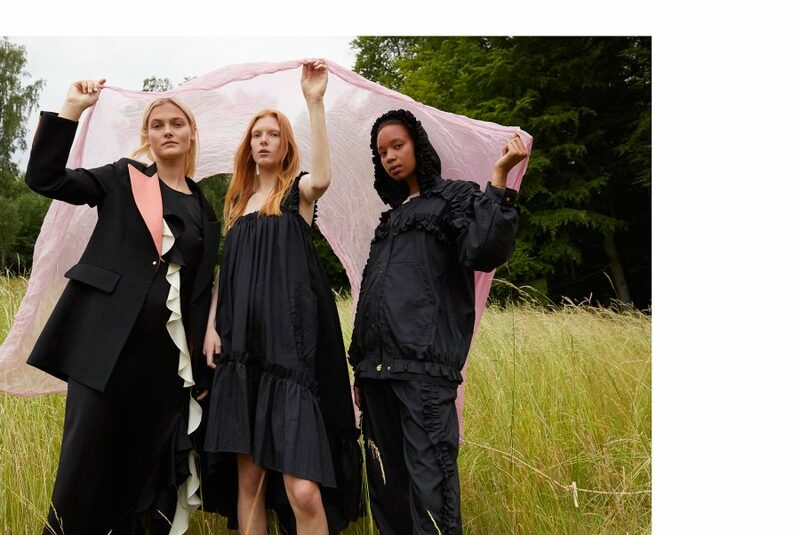 For Pre-Spring 2019, Brøgger looks to 1980’s couture, notably Danish couturier Erik Mortensen as well as early 1990’s oversized tailoring. 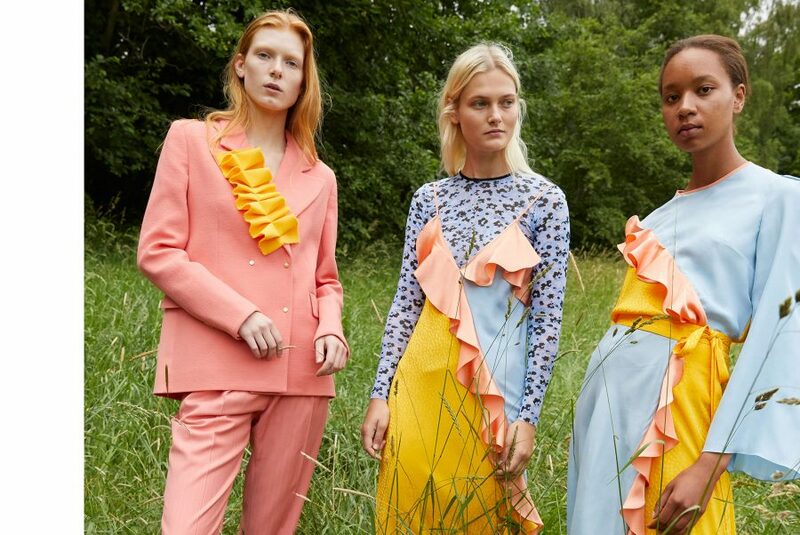 Julie Brøgger sourced inspiration from her mother’s 80s/90s lawyer work wear wardrobe, whilst continuing to play with masculine silhouettes as the key component of the label’s esthetic. 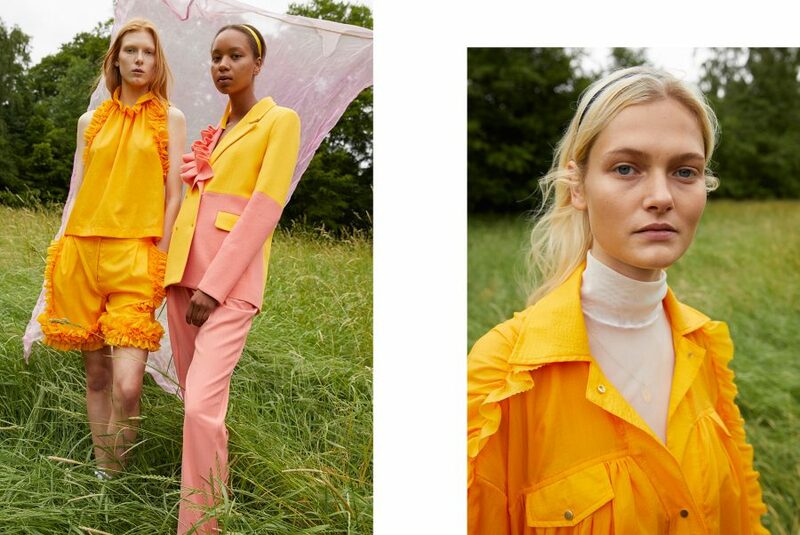 The collection builds on previous signature pieces by interlacing voluminous tailoring with a more traditionally feminine colour palette, ranging from sorbet tones, such as vibrant sunshine yellow to a muted peach, whilst ditsy prints breakthrough within the collection. The brand has developed its use of taffeta this season, with skirts and tops such as the new asymmetric hemmed Lula mini skirt. The ever popular Amanda coat and Astrid jacket from past collections return and the brand’s coveted wash rib stop pieces have been expanded to include the ruffle trim detailing Mona set, consisting of a sleeveless top with smocked neck detailing and ruffle hem shorts. 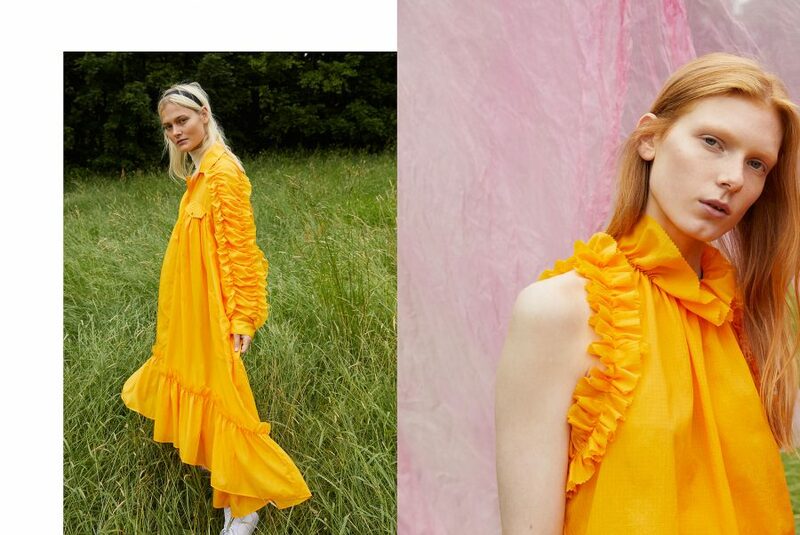 Furthermore, the oversized Alma dress with ruffled straps is sure to be this season’s standout item. Brøgger play with trim layers and a rig rag pattern, whilst the interplay between crushed rib stop, nylon taffeta, silk satin and wool fabrics add a light richness to the collection as the designs walk the line between masculinity and femininity, with a nod to couture techniques.